Passaic County is launching a program called “Angel Sense” that allows for the tracking of children with autism using GPS technology. “Angel Sense uses GPS Tracking Technology to help you locate and monitor a loved one’s location 24/7, receive instant lifesaving alerts, and even status updates of their arrival and departure to frequently visited locations,” explained Passaic County sheriff Richard Berdnik. Berdnik said Angel Sense connects to first responders with a click of a button if the child ever wanders. It can be attached to clothes, on a belt, or other article discreetly and securely by using a magnetic tool and fasteners. The device is connected to a real-time app for smartphones or the web, which allows instant viewing of the device’s location anytime on a cell phone, he said. Passaic County Sheriff’s Office is the first law enforcement agency in the East Coast to have such a program, the sheriff said. The program is being launched in honor of Autism Awareness Month. 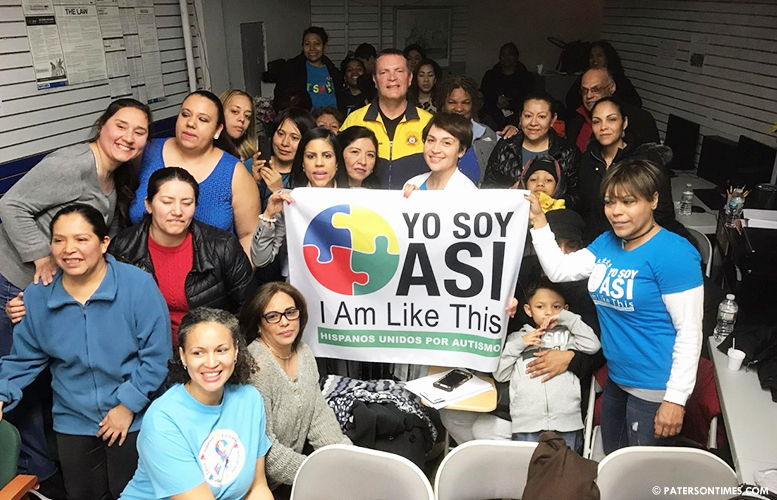 Berdnik was given the 4th Autism Awareness Ambassador Award by the Yo Soy Asi group for his work in support of the Autistic Community in Passaic County. Angel Sense is available to Passaic County residents at no cost. For more information call Community Policing Division at 973-389-5920.